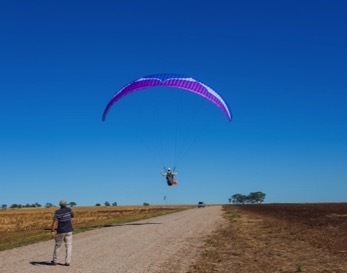 The New Pilot: many newly minted supervised pilots want the continued guidance and support of an instructor during the early days of their paragliding career. An initial certification course is typically as short as possible to save the student time and money. 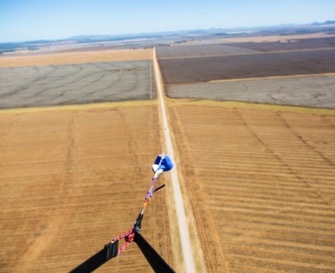 Once they ‘clear the bar’ some pilots venture forth with absolute confidence, whereas others are less certain and may not have the competence or confidence to turn up at a site and launch with minimal supervision. Pilot PT provides the support and assistance needed at the most critical time of a pilot’s development. Without this many new pilots simply fade out of the sport. The Transferring Pilot: many pilots are trained outside Sydney but want to fly Sydney sites, particularly if that is where they live. For some, everything about the Sydney sites seems different: location, ridge shape, launch height, surf, small landing zones, tides, weather, people, etc. Unfortunately it can be daunting and without coaching a new pilot may not be able to transfer their skills to the new sites. The longer the delay the more likely they will get frustrated and drop out. Pilot PT provides the knowledge and experience of local instructors shared across all aspects of flying: thorough site briefing, launch assistance, professional coaching via radio in the air, landing approaches and variations. From launch to LZ the pilot will learn everything needed about the site while progressing their competence and confidence. The Aspiring Pilot: at times it can be frustrating being a supervised pilot. Only being able to fly at specific sites and with the supervision of an agreeable duty officer can limit flying opportunities. The natural next step is to become an intermediate pilot, but that requires more than just hours in the air. Top landings, accuracy landing, 360s, descent manoeuvres, cross wind launch techniques, etc. all have to be of an intermediate standard. Some pilots naturally get there, whereas others want or need instruction. 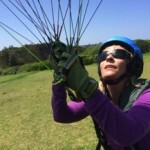 Sydney Paragliding offers a coaching program that develops these necessary skills and prepares a pilot for the intermediate practical exam. We also offer a theory preparation course to ensure that a pilot is ready to undertake all aspects of the intermediate certification. Yes, the destination of becoming an intermediate pilot is important but only if a pilot has the skills and knowledge to safely enjoy the journey. The Comeback Pilot: sometimes life gets in the way of flying and a few weeks off can become a few months or even years. 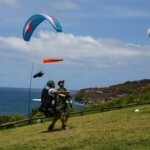 Sydney Paragliding regularly does check flights for pilots making a comeback, but many want some professional coaching to refresh and renew their skills. It is amazing how much faster a pilot can get back ‘on top of their game’ with some quality coaching. It is rewarding for both the pilot and instructor. 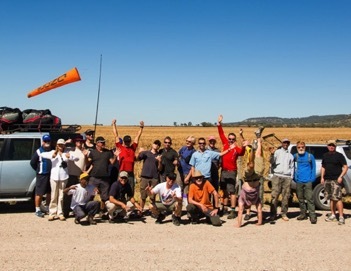 In some instances a group program is established for all participants. In other instances the program is customised for each pilot. Delivering to your needs and wants is the priority. The maximum pilot/instructor ratio for small group coaching is 3:1 for different level pilots and 4:1 for similar level pilots on a set program. The shortest session is one hour and after that the fee is rounded down to the nearest ¼ hour, e.g. 2 hrs and 10 minutes is charged at 2 hours. The session length can be fixed in advance by mutual agreement, or it can be varied on the day by mutual agreement. If conditions are good it is possible for a two hour session to become three, or inversely if the conditions are not ideal for a three hour session to become two. Small groups sessions are the usual format as every pilot can observe other pilots and the session is more affordable, flexible and easier to book into. However, some pilots prefer the focus of a one-on-one particularly if they are new or have a specific task in mind. In some instances we recommend a pilot who is new to coaching to have the first session, or the first hour of a session as a one-on-one to ensure the instructor and pilot establish a good understanding and rapport. 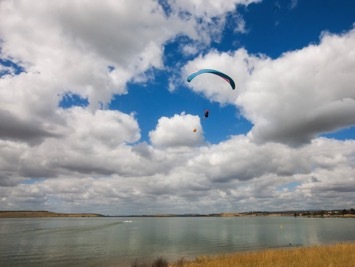 All sessions are run at a time and location mutually agreed between the instructor and pilot. 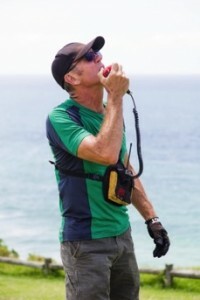 Every effort is made to make a Pilot PT session valuable. We all understand the unpredictability of weather and it is not uncommon to meet at launch to find the weather not ideal. If your session needs to be cancelled due to dangerous conditions, e.g. rain and/or high winds, then we will reschedule to a suitable day/time and there is no charge for the cancelled session. However, if the wind is on the light side or strong side then every effort will be made to use those conditions as part of the coaching session. After all, anyone can fly in perfect conditions and it’s the fine tuning of launching, soaring lines, manoeurvres and landing in light, crossed or stronger wind conditions that will develop your piloting skills and expand your flying window. If a pilot does not show up to a booked session the whole fee applies, or if a pilot cancel at short notice, e .g. less than 12 hours notice then they will be charged a one hour cancellation fee. 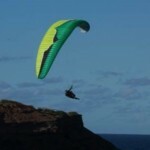 At Sydney Paragliding we are proud of our quality, safety and service and are prepared to guarantee your satisfaction. If a pilot is not satisfied with their Pilot PT experience then they simply complete a written explanation and their money will be refunded with a thank you for the feedback. 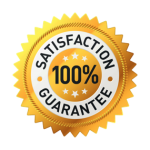 Our reputation is founded on your satisfaction. 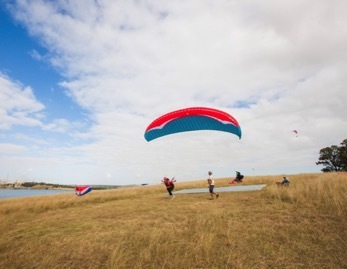 Sydney Paragliding offers a full range of programs for pilots, including: all levels of certification, tow endorsement, VHF endorsement, tandem endorsement , SIV, pilotage, and XC safari. 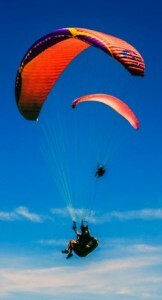 We also run a range of clinics including: thermalling, mini wing flying and coastal headland crossing. 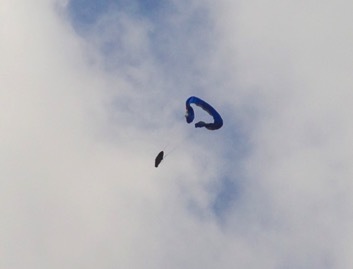 Julie Hounslow launching into the blue.